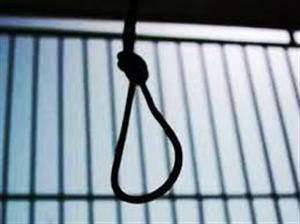 Four death row convicts were hanged on Tuesday in different jails in Pakistan's Punjab province, a media report said. Mohammad Riaz, who was convicted of killing a man in 2008 during a robbery was hanged in Sargodha Jail. This is the first execution in this jail since it was established in 1910, Dawn online reported. Akram-ul-Haq, convicted for kidnapping a three-year-old girl, was hanged in Attock Jail. Separate cases of kidnapping for ransom and terrorism were also registered against Haq. Mohammad Ameen, convicted for killing a person due to personal feud, was hanged in Rawalpindi's Adiala Jail. Hubdar Shah was executed in Mianwali Central Jail. He was sentenced to death for killing two people in 2000. Pakistan lifted its moratorium on the death penalty in all capital cases on March 10. Initially executions were resumed only for terrorism offences in the wake of a Taliban massacre at the Peshawar Army Public School on December 16, 2014, which claimed lives of more than 140 people, mostly school children. Obama, Kerry wish Bengalis 'Shubho Nobo Borsho!